It snowed most of the day today…not much accumulation…I am so thankful I am not working – sorry msmandylee. I am thankful I’m not Laura Bush. I’m also very thankful I live in a country where I can speak my mind..I am very thankful for the men and women who have served our country fighting for my freedom in the past, in the present and those who will serve in the future. I am thankful for my family and my extended family and my friends who are like family to me…I’m thankful to have a well paying job and that he has a well paying job…I”m thankful that things have not always been easy for me because I’ve grown because of it. Winning over hard times gives me a sense of accomplishment…thanks to Mr. Hall for making me step out of my comfort zone when I most needed someone to have faith in me to ease me out of my complacency. I have enough food to eat, obviously, I have a warm home, I have my critters…I have been given another day to feel content. I have no idea what is wrong with me…I’ve had my second day of feeling light-hearted and content… I’ve reaquainted with some old friends on Facebook. It is fun. Lennie was my next door neighbor from age 5 until we each went our own way at about 18….actually we started out in different kindergarten rooms which has always irritated me…I always felt it was the beginning of our choosing different friends…we were very much like sisters. I was an only and her siblings were adults when we were kids…We both named our first daughters Jennifer and we both had two girls. I blogged earlier about meeting her two years in a row in the same place at the Iowa State Fair. Then our friend Patty. Patty was more Lennie’s friend than mine …they were especially tight in 8th grade. When Patty and I connected, she remembered my birthday was 2 days after hers and we both had Mrs. Moran in gradeschool and then she was talking about Wayne whose birthday was between ours…yup…remember…actually Wayne and I worked at the same insurance company when we were in our 20’s…anyway… ( I believe these things happen for a reason)…I was surfing around on Facebook and searched for my high school and the year I graduated….guess who was there…he had joined Facebook not too long ago…so now we have reconnected. Wayne said he remembered Mrs. Moran too and wasn’t her birthday March 7th which is Patty’s birthday….and now that I have told you this long story, I hope you aren’t thinking the same thing I thought about Tracy’s soup post…ewwww Nina must be off her meds. If you don’t like how you’re feeling, stop doing what you are doing….I’m trying..I’m trying. I used to poo poo (well, now that term dates me, doesn’t it) when I would hear those over 50 say that life has never been better than when you get over the hill…in my frayed, negative, overwhelmed state, I could never understand how this was possible. I’m kinda feeling it. I don’t think I really have less of any of the negative stuff going on in my life – but in some ways…the negative power is crumbling because 1) some things are no longer important to me; 2)if you don’t like me or the way I think, stay far away; 3)with just the two of us in the house, the work load has lightened so much; 4)maybe I’ve just changed my priorities; 5)Other than work, I really don’t have to do anything I don’t want to do ie. I’ve learned to say no; 6) the crazy hormones are waning. I’ve gone downstairs twice to put clothes in the dryer only to find out that “he” has done it for me…and he’s taken the clothes out of the dryer and folded them into a basket…have I said anything about it…No…I think it is because by the time I get back upstairs, I’ve forgotten it. Tonight I made my way down stairs to clean out the litter box…it was already cleaned out… I thanked him but he doesn’t really know how much I appreciate it. I felt the need to change my xanga background theme tonight…I still haven’t figured out why this becomes important. One day it is fine…the next day it must be changed. While I’m clicking thru them, I was thinking that I would kind of like to make up my own but I actually have enough hobbies and projects now that I don’t need to take something else on…maybe later…then I came upon this wood background…and I immediately thought of “him” and that we were walking around Lowes the other night and were over in the wood section and he took a deep breath and said – oh, I love the smell of wood (he has a long history of carpentry) and I knew I had to choose this background…so honey, when you check my blog, just know it is for you. I have worked 2 fatal accidents in the last week and a half…they always send me into an analytical process…the one last week, the deputy came across not too long after it happened – the car was upside down…she lived for a few days but in the end, there was nothing that human could do to save her life in any form. This morning’s early morning accident probably happened around 2am but was not found until about 6:50…the man and woman were dead at the scene…I have heard that the couple was out celebrating an anniversary. I have been working this job for so long that I am no longer shocked about what people do to each other. I, quite frankly, think there are a lot more sociopaths out there than diagnosed. Seems accountability and conscience are missing from a lot of folks…either than or there are a lot of drug addled minds out there that should scare the hell out of all of us! But what about these accident victims. Who tells the families…do they already know from sudden awakening at night…what was the relationship when they were last together..are there regrets..do you know when you are going to die or are you just paralyzed by the trauma you think is coming…if you live through the trauma, do things kick-in your brain to calm you or do you feel terror…do you think you are going to die or do you always maintain hope that someone will help you. Very morbid thoughts – but thoughts that always go thru my mind when I, as the 911 dispatcher, gets mixed up in someone’s life or their death. Everyone of them leaves a large imprint on my psych..I’ll never forget the morning at 5am I had two emergency calls – one ear were some folks who had a baby not breathing and the other ear was an elderly lady who was having a heart attack….a dispatcher absolutely cannot think about the ramifications of this type of situation, we just react and respond..almost by rote. I remember it was suggested that this taped situation be played for the Board of Supervisors who govern the county in order to be able to hire more dispatchers…but some thought it was too graphic for someone not in the business to listen to. WHAT….AND I REPEAT WHAT…it is too graphic for 3 old men who make decision on a daily basis that affect peopls lives but they can’t hear what happens if they make the wrong decision based on their priorities. Oh Please. We didn’t get much scrapbooking done today – mostly looking at each other’s photos. We are going to try to have a scapbooking event every month rotating between the three homes. I came home with a mission to get all of the critter’s pictures that I want to include in the scrapbook off of snapfish so I’m ready to go next month without hesitancy. 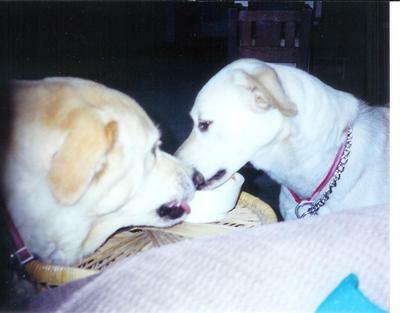 While going thru pics tonight – I found pics of the beloved dogs who have gone before. 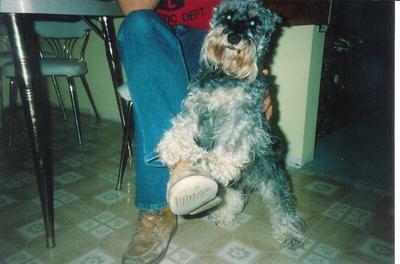 Josh – the schnauzer was adopted in 1980 and he lived to the ripe old age of 17. 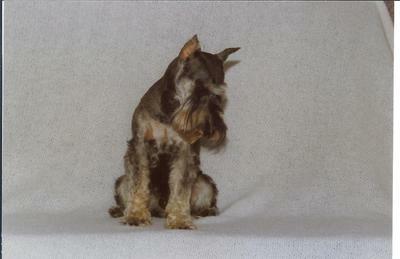 He was a typical small dog but very loving and very protective of his family. Phil was his favorite…Jenny’s first word was Josh – probably because that is what she heard us yell so much. 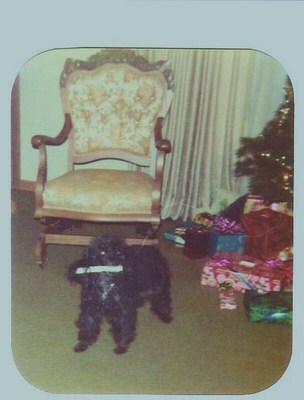 I also found a couple of pictures of Edie – the poodle that I grew up with. 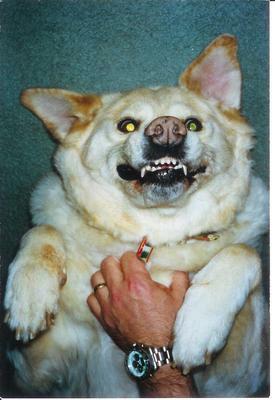 Eide and I were not the best of friends..she was my mom and dad’s dog and the only thing she liked about me was sinking her teeth into my hands. We got her in 1964 so I would have been 8 and she died when I was 19 or 20. Maybelle came to our house as a stray in May and she was a girl. She slept in the culvert under the road..I was going to take her to the rescue league because I didn’t think really want another dog but I was over ruled. I always felt bad that we kept Maybelle outside – although she did have a spot in the basement when it was hot or terribly cold. As an outside dog, she didn’t get the love and attention she deserved. This is a pic of her as a pup when she first adopted us. 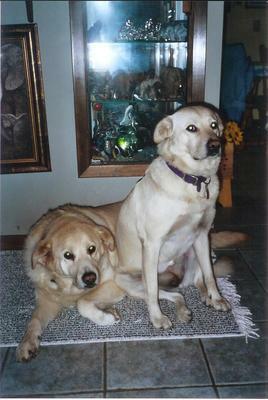 Brandy was a golden/lab mix – she’s on the left of the pics with Sierra. She took my heart..we adopted her from some good friends who were moving to Arizona and didn’t feel she could make the trip. She had some medical issues so we took her for accupuncture, put her on a weight loss program and were able to keep her going for about 4 years. Sierra irritated her to no end. As you can see that is not a smile she is giving Sierra having to share cleaning out the ice cream bowl. 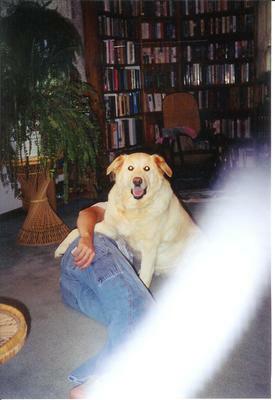 Brandy is the first of our dogs that took a piece of my heart with her when she died. I decided it was time to get the litter box off of the main floor and put it in the basement with the others. I moved it out in the hallway and left it because he’s going to have to carry it down. The c-a-t-s are very unsettled…they walk around and look at each other and sit in front of it and I’m pretty sure the 3 of them have ganged up and are talking behind my back. I cleaned today – cleaned out the hall closet…there was another cat buried in there – well, at least enough hair I scooped up.. I needed somewhere to put the new green machine. I took a three hour nap and obviously missed supper – and he made exactly what I requested…they were very good, honey. So, I’m up for a while. I have to get away from this computer and accomplish something – ha ha – like perhaps watching my DVR recorded shows…yup…I’m a go getter.